Here is a famous song performed by the legendary La Lupe. 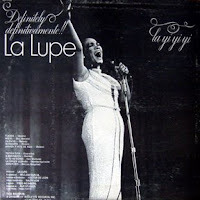 La Lupe, or La Yiyiyi (born Lupe Victoria Yolí Raymond in Santiago de Cuba, 1939 - 1992), was a Cuban Latin and Salsa singer. Just like her counterpart, Celia Cruz, she qualified as a schoolteacher before she became a singer. 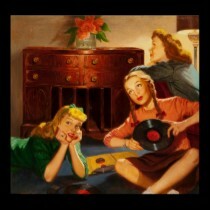 She married in 1958 and formed a musical trio with her husband Eulogio "Yoyo" Reyes and another female singer. This group "Los Tropicuba" broke up with the marriage in 1960. She began to perform her own act at a small nightclub in Havana, "La Red", and acquired a devoted following also appearing on radio. 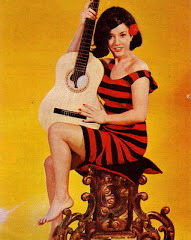 She released her first album, "Con el Diablo en el Cuerpo" ("With the Devil Inside") in 1961. Her expressive performances with their violent sexuality attracted criticism and this led to professional difficulties which together with personal problems made it difficult to stay in Cuba. In 1962 she found herself exiled to the United States. In New York City she performed at a cabaret named "La Barraca", where she was discovered by Mongo Santamaria and started a new career, making more than 10 records in five years. Her passionate performances covered the range of music: son montuno, bolero, Guantanamera venturing into other Caribbean styles like merengue, boogaloo, Venezuelan Golpe Tocuyano, Colombian plena, Puerto Rican bomba, busamba, salsa. In the sixties she was the most acclaimed Latin singer in New York City due to her partnership with Tito Puente. She was the first Latin singer to sell out a concert at Madison Square Garden. She also did a wide variety of cover versions in either Spanish or accented English, including "Yesterday", "Dominique" by The Singing Nun, "Twist & Shout", "Unchained Melody", "Fever" and "America" from "West Side Story". She is interred in Saint Raymond's Cemetery in the Bronx. In the 1990's, interest in her music was re-sparked when Pedro Almodóvar included "Puro Teatro", one of her boleros of love and breakup in his film classic "Women on the Verge of a Nervous Breakdown". She is often compared to American singer Judy Garland – for her strong, yet raspy voice, and her energetic and unpredictable stage performances – with a dash of Eartha Kitt. In 2002, New York City renamed East 140th Street in The Bronx as La Lupe Way in her memory. After seeing one of her live performances, it is reported that Pablo Picasso declared her a musical genius. The French philosopher Sartre would call her a musical animal and Hemingway a creature of art and frenesy.